Based in Frocester, Gloucestershire, Sports Ground Maintenance and Supplies are a well established company with 30 years experience of sports pitch line marking on all types of Surfaces. 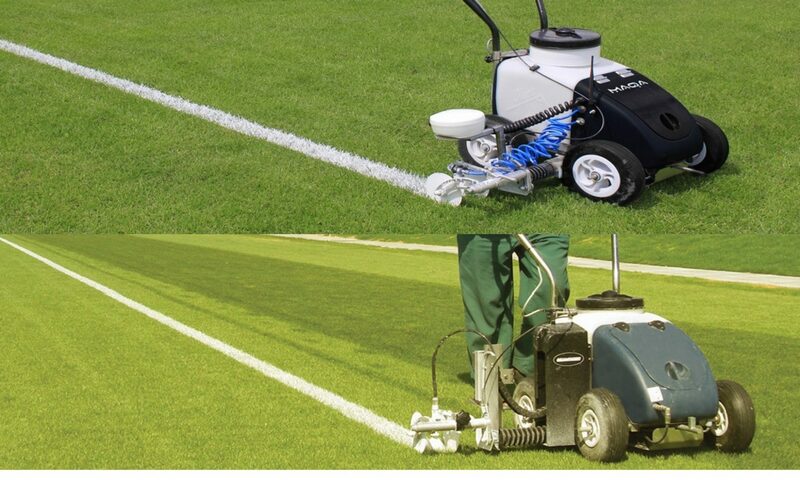 We offer line marking for sports pitches on hard court and grass areas, using the latest line marking technology to provide professional results. We use the latest GPS and Laser marking technologies, which enable a high quality finish and produce professional looking pitches. Pairing technology and practicality, the pioneering MAQA line marking system uses GNSS technology to reduce the time it takes to initial mark by a massive 75%! Athletics tracks and circles have never been easier.